In a quart jar, add pineapple, grapefruit peel, ginger and honey. Top off with white vinegar, leaving 1 inch of headroom at the top of the jar. Put on the lid and shake well. Honey may take a few days to fully dissolve. Leave the jar on the countertop at room temperature for one week. Shake at least once a day. 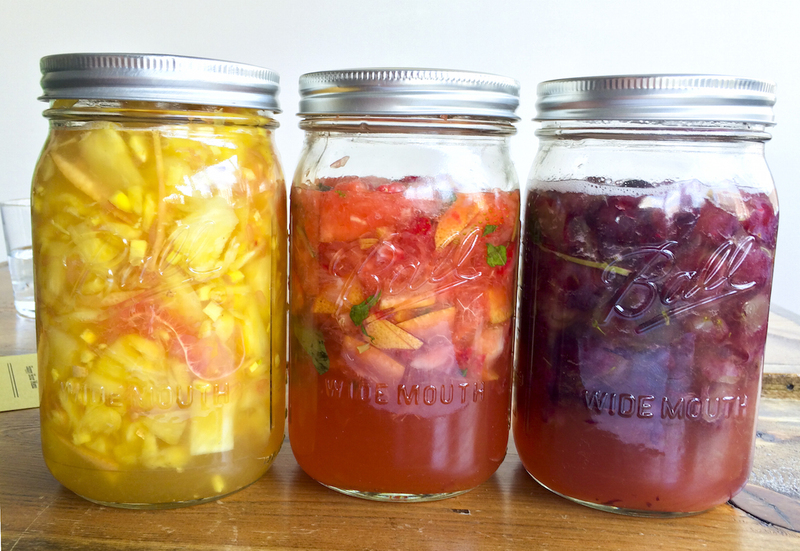 Beware that the shrub will ferment, and there may be a little carbonation in the jar. Just unscrew the jar to release the gases.